For Filipinos, Batangas is a province considered as “Little Spain.” The idea came from the Spanish-style houses and other architecture, which reflects Spanish designs that haven’t been modified since the 333 years of Spaniard colonization. Now, the place has a mixed native and Spanish culture that is reflected in the people’s ethnic practices, structural designs of churches and houses, cuisines, and festivals. Batangas is a huge province with expansive plains and rolling hills and mountains. Traveling south from Metro Manila by car or bus, you will be able to see lots of hills, cliffs, mountain sides, as well as the famous Taal Lake which can be observed as soon as you reach Tagaytay. In Batangas, people enjoy swimming in the beaches, trekking the mountains, visiting the waterfalls, and sight-seeing everywhere. Batangas is known as the home of the Taal Volcano, the world’s smallest volcano located at the center of Taal Lake. Just like most of the areas in the Philippines, Batangas also experience two distinct seasons: the wet and dry seasons. But thanks to the mountains, hills and bodies of water that surround it, Batangas has a natural breezy climate. February may be the most comfortable month for a visit as it is the coldest period in the province. March is the driest month since summer is approaching and May is the hottest period of the year. The people of Batangas are called Batangueños. First thing you should know about Batangueños is that they are very respectful to elders, especially to kin. Batangueños have very strong family ties which often results to extended families living in one household. These people are also very religious and devoted to Catholicism, which is most evident during festivals celebrated in tribute to different patron saints. Though not everyone in Batangas are Catholics, most of them participate in these religious activities. Batangueños are great farmers and fishermen. They are very industrious when it comes to tilling land for rice and sugar cane, as well as preparing and maintaining fish pens for their fingerlings. The area is rich with agricultural products that are often marketed in Metro Manila, as well as in the neighboring towns and cities. Tourists often look forward to the events and festivals in Batangas because of their unique nature that showcase the ethnicity, history and culture of the locality. The Parada ng Lechon (Parade of the Roast Pig) is perhaps the most celebrated festival in the province. Hundreds, if not thousands, of tourists from all over the Philippines and all over the world join in the celebration. If you’d like to watch beautiful ladies and fine gentlemen wearing traditional clothes designed with numerous exquisite flowers, visit Batangas in May. This is when you could join the province in celebrating the Tapusan Festival. Taal, Batangas also celebrates El Pasubat Festival just in time for their founding anniversary. El Pasubat stands for Empanada, Embutido, Longganisa, PAnutsa, SUman, BArong Tagalog, Tapa, and Tulingan. All these represent the best that Taal has to offer. Empanada – A pastry stuffed with meat, honey, vegetables, etc. (depending on the recipe) that is either deep fried or baked. This is perfect eaten warm along with a steaming cup of Kape Barako. Embutido – This is the local version of the meat loaf. A thick mixture of ground meat, hard-boiled eggs, raisins, chunks of carrots and flour is wrapped in aluminum foil or cloth, steamed and then served either fried or as is. 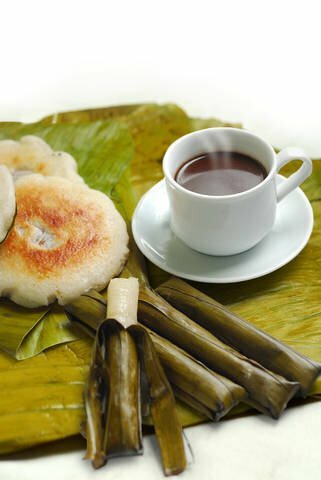 Suman – Sweetened glutinous rice cooked with coconut milk and sugar. Usually, it is wrapped in different sizes and various shapes using banana leaves. Sometimes, suman is cooked in a non-sweetened fashion, with just sticky rice, coconut milk and salt as ingredients. Bagoong Balayan – This is more of a condiment than a type of food. It is a concoction of fermented fish and salt which is a perfect dip for green mangoes. Bagoong is not at all appealing especially to those coming from America and Europe because of its fishy odor and brown color. But one only has to dip a piece of green mango in it to understand why it is very popular among Filipinos. Kapeng Barako – Those who are fans of coffee should not miss the Kapeng Barako of Batangas. The coffee is from the Coffea liberica variety, locally grown in Batangas and the nearby province of Cavite. Barako is often used to refer to a male animal stud and it is believed that Kape Barako is made only for the toughest of men. Tapas – These are cured or dried strips of meat, usually pork or beef. Sometimes carabao (buffalo) meat is used depending on the recipe. This is a little similar to the Spanish tapas though this version is eaten as part of a meal rather than an appetizer. Longganisa – This is the Filipino version of the Mexican sausage. It is also called chorizo in other regions. Longganisa is made of cured meat stuffed in pork intestines, sometimes sweetened with spices added, and then fried. Longganisa is prepared in different ways in many regions in the Philippines. Batangas is aimed at promoting tourism in the region hence the increasing number of hotels and resorts. The Days Hotel in Pastor Village is an excellent choice for both business and leisure travelers because of its proximity to shopping centers, restaurants and the beaches of Anilao. Another good choice for accommodations in the area is Pontefino Hotel. Those looking for a more relaxing stay can book a room at Club Balai Isabel Beach Resort in Talisay. With 224 well-appointed guestrooms, a spa and a wide infinity pool, guests are assured of a memorable holiday in Batangas. If you’re willing to rough it out a little just so you can be close to one of the best dive spots in the area, stay at the Anilao Outrigger Resort. Guests at this resort enjoy a private beach along with modern amenities including WiFi Internet access, air conditioning and in-room cable television. These are just a few of the hotels and resorts that cater to the needs of visitors in the province. One must remember that to ensure a memorable stay, advance booking is necessary especially during peak seasons. After using half a dozen hotel booking engines to search for available accommodations, we have found the most useful site to be HotelsCombined.com . Hotels Combined searches over 30 of the world’s leading hotel reservation sites at the same time. Take a trip to sandy beaches and natural waterfalls. Batangas is known for its beautiful beaches. As a matter of fact, it is a popular beach getaway due to its proximity to Metro Manila. Some of the most popular beaches and waterfalls in the province are the Submarine Garden in Lobo, Mahabang Buhangin Beach in San Juan, Hugon Beach in Brgy. Hugon, Tingga falls in Daang Ibaan, and Calijon Falls in Brgy. Calijon, Malvar. 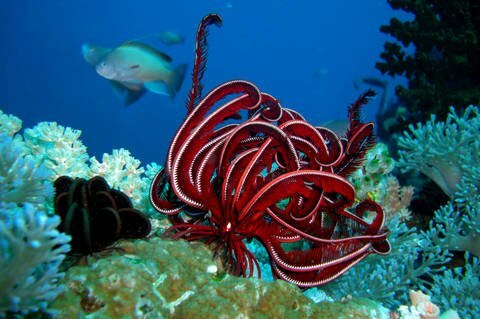 Anilao is also an extremely popular destination for divers. Try wakeboarding. 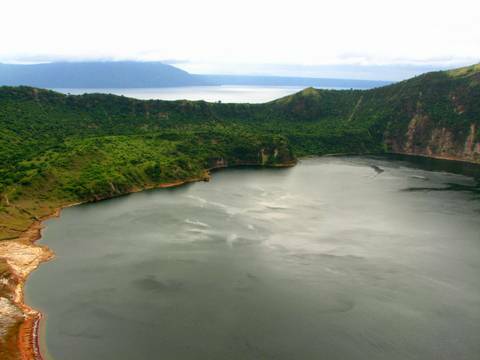 Lovers of extreme sports will be happy to visit Lago de Oro, a wakeboard park located at Calatagan, Batangas. The park caters to all skill levels, providing instruction for beginners and a venue for experts to show off. Visit churches and museums. Churches are an integral part of the entire province of Batangas. Most of these structures date back to the Spanish era and traces of the colonizer’s legacy are seen in church interiors adorned with figures of saints. Some of the must-visit churches are the Basilica of San Martin de Tours (Taal Basilica) and the Basilica of Immaculada Conception. The history of Batangas could also be relived through visiting museums and local heritage sites such as the Marcela Mariño Agoncillo Museum and Monument in Taal, Museo ng Katipunan in Lipa and the Apolinario Mabini Shrine in Tanauan. Ride a zipline: Those who’d like to see parts of Batangas from a bird’s point of view can head to La Virginia Resort for an unforgettable zipline experience. Trek the mountains and nature parks. For hiking and trekking enthusiasts, Mt. Batulao, Mt. Dagulto, Taal Volcano Crater and Mt. Maculot are some of the popular destinations. Must-visit natural parks in the province include the Plaza Mabini, Laurel Park and College of Arts and Sciences Park. Been to Batangas? What did you think? Let us know by leaving your comment below.